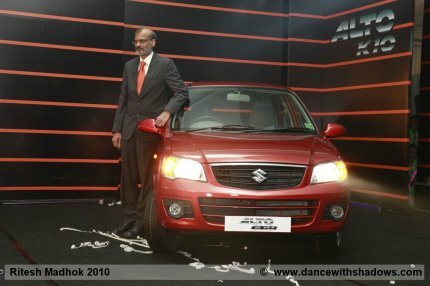 Maruti Suzuki has launched a new version of the Alto, named the Alto K10. The Alto K10 starts at Rs 3 lakh for the base LXI variant and has an all new 998cc K series engine which is more powerful than the standard Alto. The Alto K10 is essentially an improved version of the regular Alto. It will appeal to buyers who have a tight budget but want a bit more in terms of power, performance and looks than what the Alto standard offers. The Alto K10 competes with cars like the Chevrolet Spark, Hyundai Santro, Tata Indica etc. The new Alto K10 is here! The overall design of the Alto K10 has been revamped to some extent. The new Alto K10 is 125mm longer than its predecessor which has increased the legroom for the rear seats. It however is not as spacious as its key competitors on this front. Both the Hyundai Santro and the Chevrolet Spark offer more spacious interiors. The Alto K10 with its hawk-eye headlight design looks smart, while the fresh-looking front grill and body-colored bumpers are standard across all variants. The Alto K10 gets a new set of wing mirrors that are internally adjustable and body colored as well. The Alto is a reasonably good looking car for its segment and is at par if not better than the competition in terms of looks. The Alto K10 is available in 6 colors, namely; Sunlight Copper, Midnight Black, Fire Brick Red, Ecru Beige, Silky Silver and Superior White. The Alto has a new K series 998 cc engine that makes it one of the quickest cars in its segment. This engine pumps out 67 Bhp of power at 6200rpm and 90Nm of torque at 3500rpm. The K10 can do a dash to 100 in 13.3 seconds according to Maruti-Suzuki. It has a claimed mileage of 20.2 kmpl, which makes it extremely frugal and also beats the competition. The Maruti Suzuki Alto K10 also has a really small turning radius of 4.6 meters which should make it very maneuverable in city traffic conditions. The Alto K10 starts at Rs 3 lakh for the base LXI variant and Rs. 3.17 lakh for the top-end VXI variant. 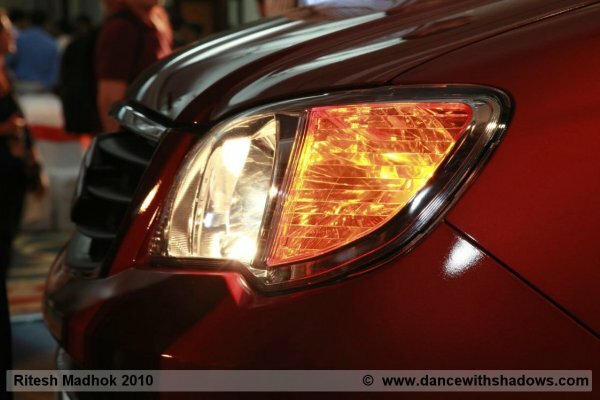 The features highlights of the Alto K10 are its hawk eyed headlamps, new boot and tail lamps, body colored bumpers, 13 inch tyres, remote boot opener, internally adjustable wing mirrors, front power windows (Vxi), new 3 spoke steering, new sporty gear knob, fabric on door pads (Vxi), integrated headrests on front and rear seats, key off reminder, front fog lamps (Vxi), central locking, immobilizer. 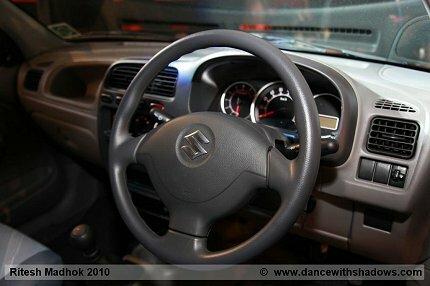 A new three-spoke steering has been introduced and you can find the Suzuki Swift’s gear knob on the cable-operated shifter. Seats have unified headrests now and the fabrics on them are nice and light colored. Front power windows are standard on the top end Vxi.